The official Facebook home of Reddi-wip. Welcome! From time to time, we may conduct sweepstakes on our Reddi-wip Facebook page that ask our fans and others to take an action to win a prize. Actions may include, but are not limited to: •	Liking a photo •	Sharing a post •	Commenting on a post or being the last to comment on a post •	Answering a question, poll or survey •	Sharing a story, photo or video on our page General guidelines for the sweepstakes will be noted in the post on our Facebook page, along with time/ deadline requirements to participate in the sweepstakes. Sweeps winner(s) are selected at random and will be contacted via our Facebook page. In order for a winner(s) to receive his/her prize, he/she needs to send a private message (PM) to the Reddi-wip Facebook page with phone, email and mailing address so we may contact you and mail your prize. This information will not be shared (http://www.conagrabrands.com/privacy-policy). Prizing may vary depending on the sweeps, but the prize will be announced in the post. Prizes valid for U.S. residents only. If you have any questions or concerns please contact us at wecare@conagra.com. 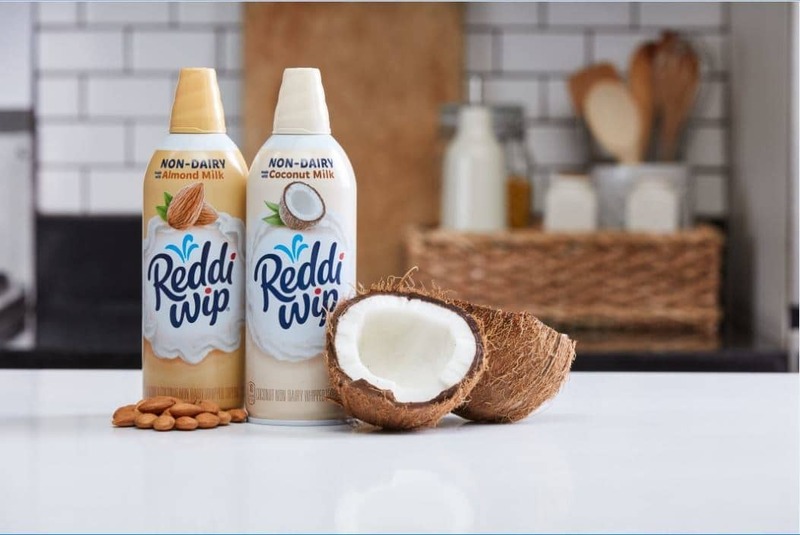 Reddi-wip, a brand of Conagra Brands, Inc. (NYSE: CAG) and the leader in the whipped topping category, has debuted two plant-based, non-dairy varieties: Reddi-wip Non-Dairy Coconut and Reddi-wip Non-Dairy Almond whipped topping.